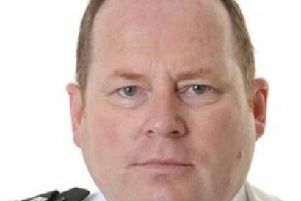 Violent crime has risen in Northamptonshire in the past 12 months by 16 percent. A man is said to have needed treatment after being hit in the face with a bottle in a serious assault on a Sleaford street on Saturday night. Officers were called to Lincoln Road, Sleaford, at 10.10pm on Saturday where the victim is said to have been walking home with family when he was assaulted and hit in the face with a bottle, resulting in facial injuries requiring treatment. The incident is alleged to have taken place opposite the play park on Lincoln Road. The 19-year-old has since been released under investigation. Insp Richardson went on: “We appeal for anyone with any information to get in touch via 101 quoting incident 424 of January 19.